FILLMORE HAS LOST A GREAT MAN. Steve Zinskey passed away Memorial Day weekend. Services to be held on Tuesday, Jumne 6th at 11am at Skillin Carrol Mortuary, 600 Central Ave., Fillmore. Lydia Rico Muñoz passed peacefully into the arms of our Lord Jesus Christ on May 16, 2017, one week short of her 88th birthday. She was surrounded by her children and numerous grandchildren. Long time residence of Fillmore, she and John moved to Reno, Nevada in 1994 making their home there for the past 23 years. Lydia was born on May 23, 1929, in Anaheim, California to Francisco and Petra Rico, and was the third of six daughters. Her family moved to Phoenix, Arizona where they lived until she was fourteen years old, at which time they moved to Fillmore, California. Lydia married John Lopez Muñoz on February 9, 1945; they were married for 72 years at the time of her death. She is survived by her devoted husband John, children: John Muñoz (Jane), Martin Muñoz (Betty), Martha Vargas, Marie Griffin (Ken), Kathy Meza, Peter Muñoz (Debbie), granddaughter Danielle Moore Murdock, whom she and John raised from a young age. Lydia was blessed with 20 Grandchildren, 45 Great-grandchildren and 7 Great-great-grandchildren. She is also survived by two sisters, Virginia Jimenez and Gloria Johnson. She was preceeded in death by her daughter, Terri Muñoz. During the 1960’s, Lydia worked for many years at the Fillmore Citrus Packing House. In the 1970’s she worked in her husbands office, John L. Muñoz Pipe Company. She enjoyed spending time with her family, camping and traveling. She and John traveled to many places including, Hawaii, Mexico, Israel, Egypt and Italy, she most cherished visiting Vatican City in Rome. The family’s fondest memories of her were the get togethers on Mountain View St. in Fillmore for holidays, birthdays and any other special occasion. Lydia was very active at the Saint Francis Parish in Fillmore. In the 1960’s she was a member of the Guadalupanas, a women’s service organization at the church. They made tamales once a month to raise money for the church. She and her husband were members of the Los Padrinos Club, which started the Black and White dances that were very popular. In the 1980’s she had a circle of friends that Father Norman affectionately dubbed the “Golden Girls”. They would go to morning mass together and then have breakfast at one of the local restaurants or at one of the ladies’ homes, Father Norman joined them quite often. Lydia was an impressive seamstress who made dresses for her sisters and daughters. Kenneth Mumme, 94, passed away peacefully April 26, surrounded by friends and family. Kenneth was born on Jan. 12, 1923, in Oxnard, Calif., to Caesar T. and Susan Mumme. He lived in Fillmore, Calif., until 1971 and has lived in Sheridan until his death. Kenneth married his childhood sweetheart, Constance Holley, in 1946. They were married 66 years before Connie passed away in 2012. Kenneth and his wife are survived by three sons, Daniel, Robert and Christopher Mumme, and a daughter, Holley Gilliam. He often lovingly referred to his children as his three thorns and a rose. Kenneth has eight grandchildren: Brandon Mumme, Trista Mumme Dietz, Erin Leonard, Patrick Mumme, Kathryn Colado, Adam Becker-Hafnor, Joel Hafnor and Andrew Hafnor. Patrick Mumme predeceased him in 2012. He is survived by seven great grandchildren: Shyann Mumme, Zachary Mumme, Gabriel Mumme, Jeffrey (JJ) Dietz, Bailey Dietz, Harper Leonard and Jack Leonard. 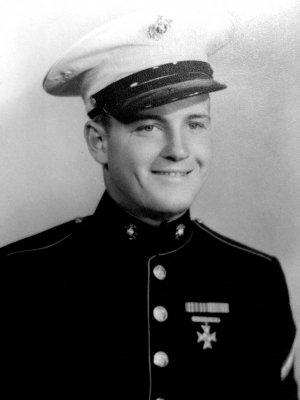 Kenneth attended California Polytechnic University, San Dimas, until he joined the U.S. Marine Corps in 1942 to fight in the Pacific in World War II. He returned from the war in 1945 and worked in Fillmore for Seaside Oil Company. Hearing the call from his country, he returned to active duty in the U.S. Marine Corps in 1950, serving in the Korean War and returning to civilian life after being honorably discharged in 1951, at which time he returned to work for Seaside Oil Company and then Union Oil. The service of his country in the Marine Corps remained an important influence on his life. He read numerous books about World War II and Korea. In 2015 he participated in the Honor Flight, visiting those memorials in Washington, D.C., dedicated to honor the service and sacrifices of those who served in World War II. Always an outdoor person, Kenneth was an avid hunter and fisherman. He and Connie took a vacation to Montana in the late 1960s and they fell in love with the state. They moved to Sheridan in 1971, accompanied by their two youngest children. Over the years, they owned and operated the Maddison Market and the Sheridan Bakery as well as the KOA campground in Alder. A hard-working person, Kenneth often worked 12 hour days. Even in his later years, he worked tirelessly as a house painter, often donating his services. Kenneth enjoyed the serenity the mountains and rivers that Montana provided him. He was an excellent marksman and fly fisherman. In the spring and summer, in the hours after work, one could often find him fishing on the Ruby River. In the fall he was an avid hunter. He enjoyed nature, with the simplicity and beauty it provided. An affable person, Kenneth was well liked and had many friends. He was a man of action with a strong sense of justice. While living in Sheridan, Kenneth was an active member of the Methodist Church and the American Legion. A decisive individual, Kenneth was always willing to step in and take charge in difficult situations. Once, while hunting in the Sierra Nevada Mountains, he came upon the site of a plane crash containing three deceased passengers. 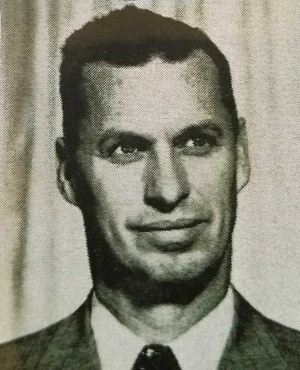 He triangulated the location and assisted a helicopter search team in locating the crash site. Searchers indicated that they had been attempting to locate the crash site for more than a year. Kenneth lived his last five years at Home Park Assisted Living in Sheridan, where he was lovingly cared for. He often referred to Tony and Emily Simonsen, Home Park owners, as his adopted children – an additional thorn and rose. Daniel M. Cannon was born in Birmingham, AL on May 11, 1972. 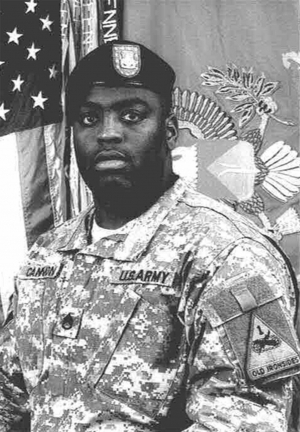 He was a graduate of Parker High School and served in the U.S. Army for 22 years. Most recently he resided in Fillmore, CA and was employed with Harper Construction Co as a safety engineer. On March 31, 2017 Daniel was involved in a motorcycle accident where he lost his life. He is survived by his four children; Maurice Kelvin, Maya Katarina Cannon, Kayla Renee Busse, and Caje Grayson Daniel Pershing; his mother, Charlene Cannon; sister, LaTonya Renee Cannon, and a host of uncles, aunts, cousins, and friends. Jim Berrington, the last of the original Berringtons was born in Fillmore. Jim leaves the love of his life, Mary Ann of 64 years of marriage. He leaves daughters, Kathleen and Noreen Berrington of Fillmore, Christine Amann (Ken) of Exeter, sons Jim Jr (Haydee) of Santa Paula and Chuck of Thousand Oaks. He leaves 7 grandchildren 2 great grandchild and his special lapdog, Bernie. 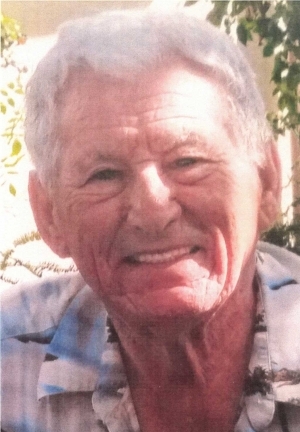 Jim graduated in 1949 at Fillmore High School and attended Ventura College. Jim was a proud veteran and served in the Navy for 4 years. After military times, Jim returned to Fillmore to work with his family at Berrington Ranch. Jim was predeceased by his parents, George and Maggie, Brothers, Bruce, Bert, George Jr. and sister Maybelle Fischer. Jim enjoyed being a dad and loved coaching baseball. He adored his dogs. He took trips with his wife, Mary Ann and dog Beethoven. We thank CMH for taking great care of Jim. We especially thank Dr. Maryniuk MD and Janine Coronado, MSW. We will celebrate Jim’s life on Thursday May 4th at 9:30 at St Francis Church, Fillmore. Father Jim Stehly will officiate. Burial: Bardsdale Cemetery. In lieu of flowers, please contribute to charity of your choice. Isabel S Ruiz, 52 of Fillmore CA passed away suddenly April 27th 2017 at VCMC in Ventura CA. Isabel was born September 10, 1964 to Victoria SantaRosa Ramirez and Federico SantaRosa. Having been a Fillmore resident since the age of 4 Isabel has crossed paths with many of the community. She met her husband Baudelio in June 1978 and then married October 11th, 1980. She knew she wanted a better life for her children which led to becoming a nurse in 1998. Isabel was a hard working woman who had a heart of gold, very compassionate and easily approachable. 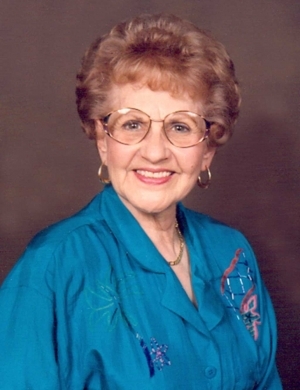 She enjoyed her grandchildren and having family gatherings. She was a responsible risk taker and enjoyed trips to Chumash with her husband and really anyone who would join her. Her family meant the world to her and she was overwhelmed with joy when her children would accomplish anything whether it be big or small. She had a beautiful soul and was a strong woman of faith who brought joy to many. She is preceded in death by her mother Victoria, father Federico and sister Ramona. Isabel is survived by her husband of 36 years Baudelio, six children Guadalupe (Sergio), Baudelio Jr (Nancy), Juan (Veronica), Francisco (Erica), Maricruz, Victoria, 14 grandchildren and sisters Ma de Jesus, Lucy, Graciela, brothers Nabor, Augustine, Santos and Pedro. 600 Central Ave, Fillmore CA 93015, with a Rosary at 7pm. Mass of Christian Burial Friday May 5th at 10:00am at St Francis of Assisi Catholic Church, 1048 W Ventura Ave, Fillmore CA. Committal Service Pierce Brothers Santa Paula Cemetery, 380 Cemetery Rd, Santa Paula CA. Celebration of life to follow. The HEART of her family, a FRIEND to many, a SMILE to light up the world. Kathleen Susan Edwards, age 52, departed this earth on April 10, 2017 at home in Ventura, California following a seven and a half year fight against stage four breast cancer, surrounded by loving family and friends. Kathleen was preceded in death by her mother, Diane Edwards and her grandmother, Helen “Nannie” Duncan. Kathleen is survived by her son, Steven Frazier of Los Angeles; daughter, Courtney Terrazas of Ventura; father and step-mother, Leo and Mary Edwards of Ventura; siblings, Linda Edwards of Ventura, William (Suzie) Edwards of Fillmore, and Barbara Edwards of Flagstaff, Arizona; as well as by Courtney’s father Anthony Terrazas; and many many friends. Kathleen was born July 7, 1964 in Santa Paula, California to Leo and Diane (Goodwin) Edwards. Kathleen grew up in Fillmore, California and graduated from Fillmore High School in 1982. She maintained many close friendships from her school years for her entire life. She was an excellent athlete during her youth, holding the homerun record in the initial season of the first youth softball league for girls in Fillmore. Coached by her father Leo; Kathleen, her sister Barbara, and her team the Barnett Bombers won the title of the Cassidy Girls Softball League in its inaugural season. In high school, Kathleen played softball, basketball and tennis. She also loved roller skating all around town with her friends. Kathleen’s mother Diane passed away when Kathleen was 14, and so the end of high school was a difficult time in Kathleen’s life. And so, some of her other high school activities we won’t mention here! After her son Steven was born she went back to school at Ventura College. At VC she earned her Associates degree and also completed two years of nursing school. 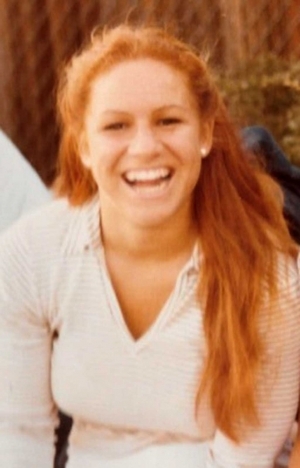 Kathleen also carried on the Edwards family tradition of playing sports for Ventura College like her parents and all her siblings, playing on both the softball team and the tennis team there. One of the proudest moments in Kathleen’s life was when she passed the exam to earn her Registered Nursing license in 1993, after putting herself through four years of school by working as a waitress. 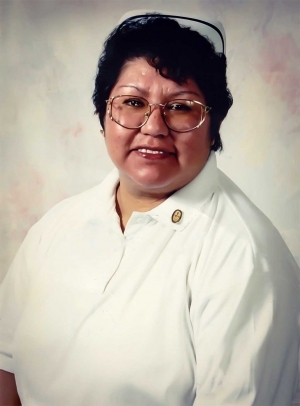 Kathleen worked at Santa Paula Memoria Hospital from 1995 until it closed in 2003. She learned a wide range of nursing skills in the small hospital and she gave her patients care straight from her heart. Kathleen had always heard from her mother, who was hospitalized often with complications from lupus, how much of a difference her wonderful nurses had made to her when she was in their care. After Santa Paula Hospital closed Kathleen went to work at Community Memorial Hospital in 2004, first in same-day surgery and later in the main operating room and made many new friends there. Kathleen developed a love for esthetic nursing and became a small business owner, with business partner Dr. Constanze Rayhrer, in 2003 when they founded The Laser Studio in Ventura. Kathleen loved to help her clients there look their best. But the center of Kathleen’s life was her children Steven and Courtney. Her favorite activity in her last years was to root for Courtney at her softball games, or travel to softball tournaments including the NSA Girls Fast Pitch Western World Series won by Courtney’s team the Ventura Stealers in Seattle, Washington. 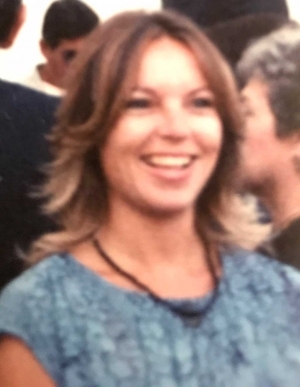 Kathleen also loved to travel for non-softball reasons and had wonderful memories of an Amtrak trip to Chicago and Minnesota with Courtney and sisters Linda and Barbara, among other trips. As Kathleen’s cancer grew worse in the last couple of years, she was sad that she was no longer able to work, but used her time when she was feeling well in maintaining her friendships both in person and with distant friends electronically. Kathleen’s friends were such incredible support to her as she struggled through numerous rounds of chemotherapy and brain radiation. During Kathleen’s last stay in the hospital, she had so many former co-workers visit her. Special thanks to Kathleen’s extraordinary friends, who took turns being at her side all through hospice care, to make sure her instructions were followed. Kathleen’s family also thanks Dr. Lynn Kong and her team who treated Kathleen for so long. A celebration of Kathleen’s life will be held Saturday, April 29, 2017, 11:00 am at the Ted Mayr Funeral Home, 3150 Loma Vista Road, Ventura, CA 93003. For anyone wanting to remember Kathleen with a charitable donation, please give to the charity of your choice or to The Andrea Grace Foundation, 1746-F So Victoria Ave #245, Ventura CA 93003, in memory of Kathleen Edwards. Arrangements are under the direction of the Ted Mayr Funeral Home. Condolences may be sent to TedMayrFuneralHome.com. 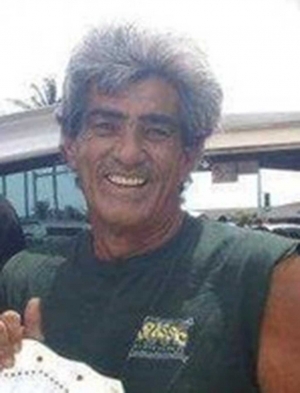 Eric Walla Grove 61, of Kihei, HI passed away on March 28th, 2017. Eric was born on January 6, 1956 to John Dale and Naomi Grove (Legan) in Fillmore CA. Eric came from a family of 6 all born and raised in Fillmore. After high school, Eric attended University of Utah on a football scholarship. He left Utah, and decided to move to Maui. Eric was drawn there by the beautiful ocean, peaceful atmosphere, and the island lifestyle. Eric was a Merchant Marine for the American Marine Corps. He was also a tiler and worked as an independent contractor. He was known as “Papa Eric” to his grandkids. He will be missed by many family and friends. He is survived by his children, Preston (Tricia) Grove, Kendall (Anna) Grove, and Ariel Moniz Grove; grandchildren, Mikah, Toa, Khloe, Emma, Te’ata, Taimane, Skyla, Te’lia, Taupou, Quincee, and Ares; brothers, Tim Grove -Maui HI, Danny Grove -Honolulu, HI, and John Grove (Tracy) -Fillmore; sisters, Camille Grove -Yanez (Brian) - Ventura, and Kerry Grove Marrufo - San Diego. Eric was predeceased by his parents, John and Naomi Grove. Berthyl (Bert) Kimzey Bigham of Fillmore California age 97 passed away peacefully Tuesday April 4th, 2017. Bert a beloved local teacher lived in Fillmore 60 of his 97 years. Bert was born 11/1/1919 in Pinckneyville, Illinois to the late Enos Bigham & Ruth (Hallbauer) Bigham. He attended Pinckneyville H. S. graduating at age 16. As a baseball & football star his academic mind prepared him for the future. This early graduation in 1935 required employment. He quickly found a job in his Father’s Bowling Alley working his way up the ladder to CEO of this prestigious family 3 lane bowling alley. The family suspects over the next three years he developed the life skills for success. Some of those skills included bartending, cigar smoking, poker & female companionship. After 3 busy years he took a break to become the Principle of the Demark School in Demark, Illinois with 17 students in 1938. He went on to receive his BS in Education at Illinois Wesleyan University in Bloomington, Illinois. His major Education. He minored in poker, cocktails, baseball, and sorority spiritual advisor. In 1957 Bert moved the family from Pinckneyville to Fillmore, California. As Vice Principle & Student Councilor of Fillmore Jr. High he served his students for 25 years retiring in 1982. His 35 years of retirement are a testimony to his love of life. His love for students his legacy. Bert served in the United States Coast Guard from June 1942 to November 1945. His duties included protecting the Gaviota Coast outside Santa Barbara up to Point Conception lighthouse. His daily regimen included catching saboteurs, training seals for the war effort & honing his marksmanship on the local Pelican & Seagull population as well as perfecting his suntan for camouflage purposes. He assured the family he was safe. Eventually shipped out he served in the “Battle of the Philippines Sea “. His war stories remain a family treasure. Bert married his first wife Velma (Tanner) Bigham in Santa Barbara, Ca. early 1941. Divorced in the early 80”s he met & married Barbara (Lemley) Bigham on April 28th, 1984. She was the love of his life. As soul mates they spent 23 years camping their way from Oregon & Washington to Baja. Bert had many hobbies & a love for sports. As the Champion of Dumpster Diving Ventura County he referred to his talent as “Surfing the Waste”. His unit dumpster located next to his mobile provided untold items crafted into art treasures to decorate inside & out of his mobile & admired by all. Others hobbies included poker, tile rummy & washer board. Macramé, pottery & tomato plants his specialties. A voracious reader of Louis L’ Amour this cowboy had 114 books reading all multiple times. A star baseball player at Illinois Wesleyan University he went on to sign & play Class A ball for the NY Yankees minor league team in Grand Forks, North Dakota. A big Lakers & Dodger fan. Proceeding Bert in death were siblings Ernie Bigham brother& Audrey (Smith) Bigham sister. Love of his life Barbara (Lemley) Bigham. John T Lemley of Mendocino, California. Bert is survived by his two Son’s Robert & William both of California. Nephew Kim Bigham of Benton, Illinois. Matt Bigham & Jessica (Bigham) Phillips of Oak Park, Illinois. The Lemley Clan including step daughters Jackie Hooten, Kelly Black, Barbara Martin & sister in law Tad Vochchaster. Bert left behind 12 Grand Children & 12 Great Children. A heartfelt thank you to Pat Patterson & the Nursing staff providing care in Fillmore. The same to the wonderful Staff at Coastal View Healthcare Center in Ventura whose love of Bert & excellent care will forever be remembered by family & friends. In lieu of flowers Bert’s requests we help the less fortunate by performing multiple acts of kindness. A Celebration of Bert’s life will be held on May 6th, Saturday, 2017. The First Baptist Church at 1057 1st Street, Fillmore, California 93015 from 2 to 5 PM. 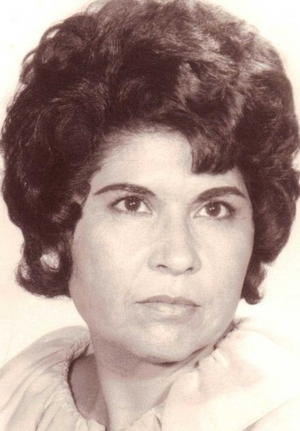 Anita Nunez, age 79, passed away peacefully on the evening of April 4, 2017 at the home of her daughter in Fillmore, CA, due to acute renal failure caused by multiple myeloma. She was born in Black Rock, AR and moved to Fillmore at the age of five. She worked at Henry's Restaurant and Shirley's Dress Shop, Fillmore, CA; PPG Industries, Valencia CA; Rob Frost Equipment Rental, Camarillo, CA; McDonald's, Guntersville, AL; and most recently at the Fillmore High School cafeteria. In her younger days she liked to water ski and bowl. She enjoyed gardening, going to the beach and just being out on the lake or river boating. For a number of years she helped cook at a hunting camp in Colorado every fall. Michael Page, Madison Yeaton, Hayley and Taylor Collins, Richard, Andrew and James Ruiz, Harley and Corbin Mckelvy, Gavin and Raegan Collins, Daxton Collins. She was preceded in death by her husband, Arthur Collins in 1966 and husband, Manuel Nunez in 2008, parents Raymond Beeler, Elsie Treanor and step-dad, Donald Treanor, sisters Della Beeler, Ramona Farmer and Denice Treanor, brother, Dennis Treanor. Anita’s family was her pride and joy and her love for them was unconditional. She was generous and had a heart of gold. She could always light up a room with her smile and infectious laugh and she had a great sense of humor. She enjoyed cooking and baking for her family and friends. A graveside service will be held on Monday, April 17 at 11:00am at Bardsdale Cemetery in Fillmore, CA with Pastor Mark Rathe of Faith Community Church officiating. Katheryn Wilson passed peacefully into the arms of our Lord on April 6, 2017 with her family by her bedside. Katheryn was the middle child of three and was born on the Choctaw Reservation near Hugo, Oklahoma. Preceding her in death were her parents Hubert Campbell Rose and Tommie Mae Rose, her two brothers Russel and Gorman Rose. Katheryn was the mother of Steven Edward and Hubert Thomas Curnett and step mother to Ronald, Jack, Rex and Becky Wilson. She was the grandmother of 10 grandchildren and 10 great grandchildren. The Rose family moved to California in the early 40’s and settled in the Santa Maria Area. Katheryn attend Santa Maria High School and was active in high school activities. During WWII Katheryn had a part time job working at the U.S. Army Base Camp Cook now renamed Vandenberg Air Force Base. While at the base she was named “Camp Cook Cutie”. While still in High School Kay was introduced to a handsome Marine home from the war. Shortly after she left high school in her senior year and like so many others Kay and Ed made a quick trip on Highway 58 and were married in Las Vegas. After living in the Santa Maria area for a few years Ed and Kay moved with their two boys to Fillmore where he continued working in the oil fields and Kay continued as a homemaker and mother. After Ed’s death in 1958 Katheryn worked for the Fillmore School District in the cafeteria and later as a waitress to support her sons. Katheryn married Jack Wilson in 1963. This was a union that would last 54 years until Jack’s death in 2015. Kay and Jack loved to travel and enjoyed visiting not only several states in the U.S. (including Alaska) but several countries. Kay loved her neighbors and “adopted” many of the neighborhood children. Kay and Jack opened their home to the neighborhood for Fourth of July parties. Most of the children of the neighborhood learned to swim in the Wilson pool. Along with being a proud member of the Order of Easter Star, Kay enjoyed having been the member of a fun line dancing group. The family wants to express their heartfelt thanks and appreciation to all of Kay’s wonderful neighbors who have watched out for her by often bringing food and even making sure her home was decorated for Christmas. Visitation will be held at Skillin-Carroll Mortuary 600 N. Central Ave. Fillmore, CA on Tues. April 18, 2017 from 11am to 1:00pm. Graveside Service to follow at 2:00pm at Pierce Brothers Santa Paula Cemetery 380 Cemetery Rd. Santa Paula, CA. At sunset, with a beautiful view in her home, surrounded by her loving husband Ernie, daughter Teresa and her husband Adan, son Richard and his wife Erica, all her precious grandchildren, sisters, sisters in law, nieces, nephews and their families, in prayer, listening to music that she loved, holding her hands and lovingly caressing her, after a well lived life, a strong, beautiful, hardworking woman took her last breath and surrendered her devoted soul into the arms of Our Lord. Susan, or Sana as she was affectionately known, was born to Alfonso and Margarita Romero. Susan was raised in Fillmore. She attended grade school and graduated from Fillmore High School in 1973, and attended Ventura College. She was struck by Piru Cupid’s arrow and married her soulmate, Ernie Preciado, on Feb. 9, 1974. Susan and Ernie made their home and raised their children, Teresa and Richard, in Fillmore. While her children were in school, she attended countless school events, supported and celebrated her children's academic and athletic achievements of which she was always more than proud to share. Her home was always open for those in need, for many memorable holidays or just for a friendly visit. Susan was an extremely hard working woman all her life. In high school, she worked for Bank of America as a student worker. After marriage, she worked briefly at Ameron Pole Products before joining Southern California Edison for over 30 years of service. Along the way, she made countless lifelong friends, who fondly know her as Sue. Susan and Ernie built a beautiful home on the Western Sierras in Shaver Lake. Where there were many family gatherings, reunions, and long fun filled weekends, hosting friends, water-skiing, snow-skiing, fishing and hiking. Susan was a wonderful hostess; she loved to cook, bake, BBQ, and of course, share a good bottle of wine by the fire. Great conversations, scrabble games, and some good music with family and friends were always shared. She loved nothing more than to be at her Shaver Lake sanctuary with Ernie, her grandkids and Jadie, her pawed companion. Never perfect, Sana loved and cared for her family and friends intensely. Sana was a great conversationalist and loved taking time to have deep one-on-one exchanges. She supported fairness and integrity. "Work hard for it and take pride in it". When Susan and Ernie were not working at SCE or at their home in Shaver Lake, they partnered on many different projects together. They were truly the A-Team. She never shied away from hard work. Susan was highly organized and worked tirelessly at anything she did. With a limitless thirst for knowledge, she was a bit of a history buff and always up to date on current events. She had a high standard and held everyone up to the same. Susan was very frugal, finding use in what she saved so it was recycled and not wasted. Waste not, want not. Sana loved sharing her beautiful home with family and friends, as her home was constantly, impeccably clean, she enjoyed cooking and serving delicious meals to family and guests. In her free time, she loved to read about and research her genealogy projects. She lived for her grandkids and reading to them and spending time with them brought her endless joy. She celebrated their works, uniqueness and accomplishments just as she did with her own children, nieces and nephews. Susan was a lady of class, respect and beauty. Susan's passing is preceded by her father Alfonso, her only brother Arturo Romero (whom she loved and deeply missed) and her in laws Manuel and Sabina Preciado. She is survived by her mother Margarita Romero, loving husband Ernie Preciado, daughter Teresa and Adan Ortega, son Richard and Erica Preciado, most precious grandchildren Adrienne, Brennan and Camrynn Ortega, Lauryn, Kaelyn and Ashlyn Preciado, sisters Martha, Grasiela (Deacon Ramon), Irma (Greg), Liz (Daryl), Dolores (Arturo), Sisters and Brothers in law, many nieces, nephews, godchildren, aunts, uncles and cousins, and of course all the wonderful special friends that she loved dearly. Sana, you have earned eternal rest; your work on earth is complete. Our only regret is that we wished you would have stayed with us long enough to have seen the fruits of your efforts and loving legacy continue on through your grandchildren. We love you so, so much and will forever miss your smile and beautiful face. Services: Private visitation will be from 4:30pm-6:30pm and Vigil/Rosary at 7:45pm, Monday April 17th at St. Francis of Assisi Catholic Church in Fillmore. Mass will be celebrated at 10am, Tuesday April 18th at St. Francis of Assisi Catholic Church in Fillmore. 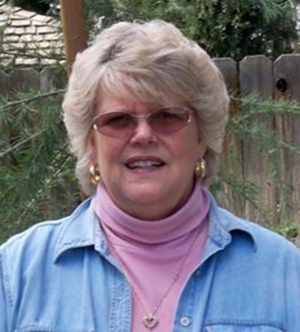 Following mass, Susan will be lovingly laid to eternal rest at Bardsdale Cemetery in Fillmore. David H. Esquivel, Sr., Beloved husband, father, grandfather, great grandfather, passed away peacefully at home with his beloved family by his side on March 22, 2017. He was born August 3, 1926 in Huetamo, Michoacán, Mexico. He came to the U.S. in 1953 and worked with fellow braceros picking oranges and staying at the campito in town. Returning to Mexico to meet the love of his life Clementina, where they married on March 10, 1959. They traveled back to the U.S. and resided in the San Fernando Valley, where they began their family. He began working for General Motors in Van Nuys, his next employment was a company named Mode a Day, cutting layers of fabric for women’s fine apparel. Then in 1971, he moved his family to Fillmore to the housing units named El Campito next to the insectatary. Later moving to the old Rancho Sespe working as a ranch hand with the company’s cattle of herd. After the owner sold Rancho Sespe, then purchasing his home in Fillmore in 1976. Eventually, finally being employed for Fillmore Piru Citrus Association until his retirement in 1991. He enjoyed traveling with his Lovely wife to many places including, Italy, Switzerland, Austria, France, Germany, and Israel where both were baptized in the holy waters of the Jordan river. But home was where he wanted to be, watching his grandchildren play sports, and he never missed a game. 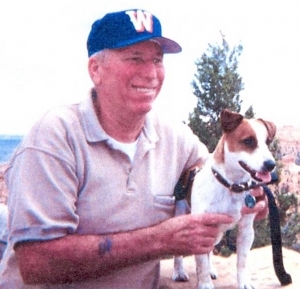 David Sr. would walk his daily morning and afternoon walks with his wife Clementina, and also enjoyed the outdoors that would include his family’s yearly outings, like camping, fishing, and Dodger games. Everybody knew him as “Lito”. His love, laughter, and sense of humor was felt by all. His remarkable strength was indescribable. David, Sr. is survived by his wife Clementina, children, David Esquivel Jr., wife Silvia, Irma Esquivel Axmacher, husband Whilhelm, Jaime Esquivel wife Jessica, Dina Fiorentino, husband Tony. David Sr.’s grandchildren, Pasquale Nappi, wife Cecy, David, Jaime, Tyler, Caroline, Antonino, Roy, Kiara, and great grandchildren, Pasquale Jr, Nevaeh, and Alessandro. The Esquivel Family would like to give a big thank you to Dr. Masiello and staff, Dr. Hakansson and staff, Assisted Hospice and staff, RN Sherri, and friends and family for your love and support. A Memorial Service will be held 5:30 p.m. on Thursday, April 13, 2017 at Skillen Carroll Mortuary at 600 Central Ave Fillmore, Ca. In lieu of flowers, please do an act of kindness with David, Sr. in mind. 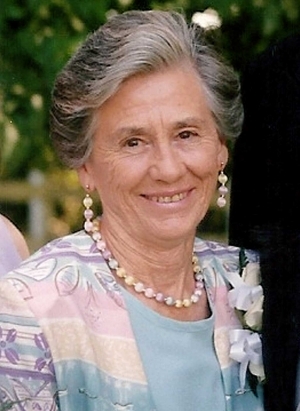 Margaret Dolores “Beannie” (Moore) Garrett of Fillmore, CA passed away peacefully on March 10th 2017 after a lengthy battle with Alzheimer’s disease. She was born to the late Albert and Myrtle (Buckman) Moore on September 1st 1931 in Happy Hallow, KY.
She was preceded in death by ten siblings, her husband of forty-two years Charles F. Garrett, two sons-in-law, one grandson and one great-grandson. She is survived by sister Mary “Mikey” Moses; daughters Anne Mae Reames, Mary Margaret Holt and Teressa Jo Garret; seven grandchildren Robert Vaughn, Greggory “Scott” Vaughn, Karen Garrett, Lori Henderson, Crystal Vaughn, Shawna Davis and Veronica Johnson; thirteen great-grandchildren, four great-great-grandchildren and a host of nieces, nephews, cousins and friends who will sorely miss her. Beannie was adored by all who met her. Known for her spirited storytelling she especially enjoyed sharing tales of her young life in Kentucky and although she spent much of her life in California and Arizona she never abandoned her southern roots. She was a giver and spent countless hours crocheting beautiful items to bless others with. Her memory will forever live on through her extraordinary stitch-work. Charles Eugene Lidikay, DVM, passed away on March 11, 2017, in Fillmore, California. The Medical Examiner’s office is still determining whether his death was natural or accidental. Charles was born on February 10, 1972, in Tulare, California, to Bill and Janet Lidikay. 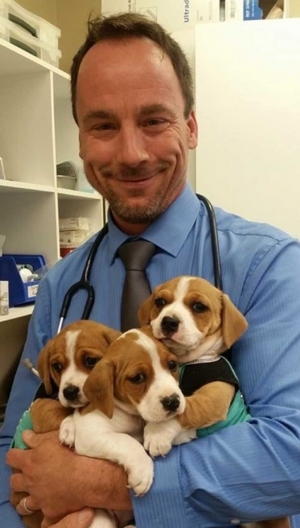 He graduated from Bonita High School, CSU Stanislaus, and the University of Davis School of Veterinary Medicine, beginning his practice as a veterinarian in 2002. Charles and his wife Shauna moved to Fillmore and bought Fillmore Animal Hospital in 2005, where he practiced until his death. Charles was passionate about the animals he cared for, building a successful practice with Shauna. In his free time, he enjoyed camping, painting, and music. He was a talented artist, an exceptional drummer, and loved playing the guitar. Charles is survived by his wife Shauna, and children Sebastian, Gabriel, Peyton, and Scarlet, of Fillmore, California. He is also survived by his parents Bill and Janet, brother Mark, sister Maggi, and many relatives who loved him. A memorial service will be held on Saturday, March 25, at 4:00 pm, at Faith Community Church, 461 Central Avenue, Fillmore, California. All are welcome to attend. A GoFundMe account has been set up for Shauna and the children at https://www.gofundme.com/shauna-lidikay-and-children-fund. Rosario “Chayito” Sanchez went to be with the Lord with loved ones by her side on February 25, 2017. She was born on December 26, 1932 in Arandas Jalisco Mexico. She married Luis on December 21, 1953 and in 1975 they came to live in the U.S with their 2 kids. She was preceded in death by her parents Refugio and Josefina Placencia; her husband Luis and sons Juan, Alfonso, Jorge, Javier, daughters Eva and MariaElena grandson Daniel and sisters Carolina and Socorro. She is survived by her daughters Eva and Alicia Sanchez and grandkids Jesse, Alex, Diana, and many more in Mexico. Rosario loved praying and doing volunteer work she volunteered for Fillmore Volunteer Services for 9 years. She enjoyed singing and dancing the evening away in her younger years. 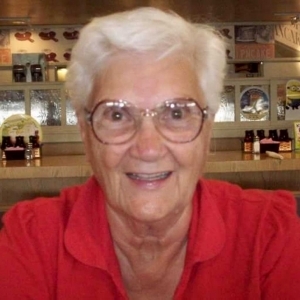 Her hobbies included listening to music, reading, and playing bingo. The Sanchez and Golson family would like to give a big thank you to Companion Hospice nurse Stina, laison Maria Lopez and social worker Zhina as well as chaplain Kevin and Dr.Chen and all the nurses at SP Hospital who attended Chayito during her time of need. Eva Sanchez would like to give a special thank you to Maria Valdivia and the Golson family for taking good care of her mother. A mass will be celebrated at 10am on Friday, March 24th at St. Francis of Assisi Church. Please bring your favorite dish for a potluck immediately following at church hall. Funeral arrangements made under the direction of Perez Family funeral home Camarillo, Ca. On March 2, 2017 Jane Marie Johnson rode off into the sunset on her horse 7-up with her loyal dog Tazzy at her side. She was born on March 13th, 1927 in Fillmore, CA to Gladys Dryden and William Dryden. She was married to her husband Vernon “Slim” Johnson in 1955. She was a prominent member of the community and was respected and loved by all who knew her. 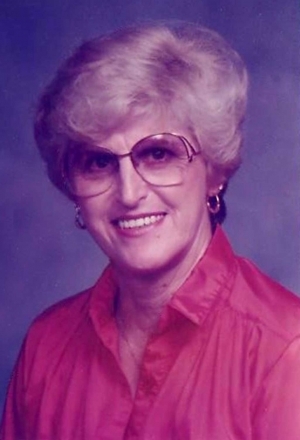 She was known for her horse riding and roping in her youth, love for animals, was a patron of the Fillmore Café for many years, and could frequently be sighted playing a round of golf at the Elkins Ranch Golf Course. She was preceded in death by her husband Vernon Johnson, and daughter Karen Magana. She is survived by her Son Kelly Johnson and sister Charlene Dryden. She is also survived by her granddaughter Diane Dominguez and husband Angel, grandson Robert Magana and wife Monique. She is also survived by five great grandchildren, Angel Dominguez III, Liliana Dominguez, Nathaniel Dominguez, Sarai Dominguez, and Darla Magana. A Celebration of Life will be held on Saturday March 18th at 12 pm at 453 Blaine Ave, Fillmore, Ca at 12p. Tri-tip and chicken BBQ will be served and potluck style sides welcome. Please RSVP by Wednesday March 15th to carpetman60@aol.com. Eileen Kay Beaty passed peacefully in-home surrounded by family on February 25, 2017, after a courageous battle with cancer. Eileen came into this world just as spry as she left it. On March 2, 1945, there were no hospital rooms available to her parents Jeanne and Harry Grover, so they were forced to use a storeroom as a makeshift birthing room. She resided in Piru and attended Fillmore High School where she met her future husband, Jim Beaty. They were married in 1966 and celebrated their 51st wedding anniversary this year. Together they had three children, Darren, Dyan and Jeb. Eileen worked at various jobs, including the "bra factory" and Beaty's Grocery before becoming a stay-at-home Mom in the late 70's. She was involved in many organizations: PTA, Job's Daughters, Raiders Football, Flashes boosters, North Fillmore Neighborhood Council, to name a few. Jim and Eileen started the 4th of July Chili Cook off and Car show in 1987. In 2000, Eileen began cooking red chili, salsa and chili verde. She won many awards throughout the years. In 2015, she won the ICS World Championship for Chili Verde. Eileen was very creative and talented in many things including, sewing, crocheting, painting, and gardening. She loved football, especially when her boys or grandson were playing. She was proud of her children and grandchildren and made each feel special. 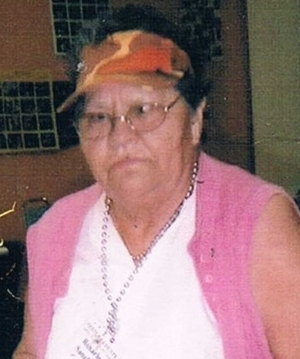 Eileen survived by her husband Jim Beaty, brother Roy Grover (wife Linda), sister, Georgette Aguilar, children, Darren Beaty (wife Suzi), Dyan Beaty (husband Ronnie), Jeb Beaty (wife Stephanie) and six Grandchildren: Jacob Beaty, Nathan Beaty, Jordan Martens (husband Michael), Joshua Beaty, Austin Beaty and Cole Beaty. Eileen was preceded in death by her parents Jeanne and Harry Grover and brother Bill Floyd. Graveside services will be held at Bardsdale Cemetery, 1698 Sespe Street, Fillmore, CA, on Tuesday, March 7 at 11:00 am. Janine Rees, 64 years. Loving longtime Fillmore resident passed away suddenly on Tuesday February 14, 2017 at Ventura Medical Center after a short unexpected bout with Cancer. Janine was born in Fresno to Ralph and Patricia Rees. She married in Boston, Massachusetts on June 21, 1980 to Bill Faith her soulmate and husband. She attended local schools and was a lifetime member of the Fillmore Alumni Association. She loved the city she grew up in as much as she loved all who came to know her. She was a graduate of U.C.S.B. and did Masters education at Boston University. For more than 35 years she owned and ran her own business as a yoga teacher and local shop owner. Janine was the loving eldest daughter to Ralph Paige Rees (deceased) and Patricia (Young) Rees. Survived by her soulmate and husband Bill Faith; her son Luke Faith, and four loving daughters: Hannah, Tara, Nora, and Claire Faith. Grandchildren include Lillian Horn, Sammy Horn, and Victoria Horn. Survived also by her mother Patricia Rees and siblings Wendy, Robin, Jason, and Brady Rees. 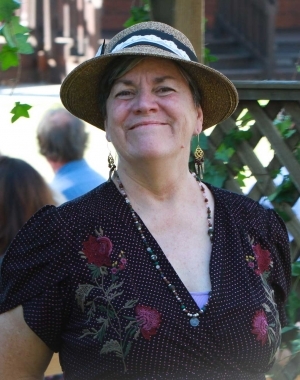 An announcement of a memorial celebration for this very loving and special friend of all who knew her will be forthcoming in the Gazette in early Spring as well as a short biography of her journey along with thoughts by some that knew this wonderful friend of Fillmore. It is with great sadness and heavy hearts that we announce the passing of James Edgar Horn. Jim was born on April 26, 1941 to Helen (Taylor) Horn and Robert Horn in Cimarron, New Mexico. He passed peacefully on February 14, 2017 surrounded by his loving family. Jim started his career in 1962 working in “The Patch” for 8 years. He worked for Bestwell Service as well as California Production Service. He changed occupations and graduated from the Police Academy in 1970. After graduation Jim worked his first year for the Fillmore Police Department as a Patrolman. He then got hired as a Patrolman with the Santa Paula Police Department. Jim worked his way up the ranks to Detective in the Narcotics Division, then promoting up to Shift Sergeant. 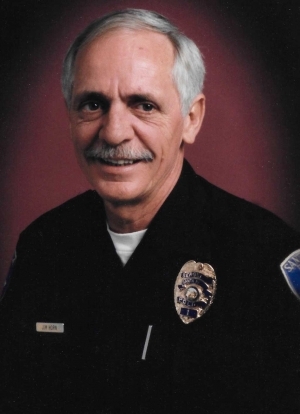 He retired from the Santa Paula Police Department on December 1, 1994. Jim loved his work and enjoyed being a Police Officer. He also loved to go deep sea fishing in Alaska with his buddies. And he enjoyed golfing, and loved spending quality time with his grandchildren playing card games. Jim was a jack of all trades and was able to build anything. He was a great story teller, prankster, mentor and friend. Jim is survived by his loving wife of 27 years, Lori (Cantrell) Horn, brother Bob Horn (wife Pat), brother Allan Horn (wife Sandy), sister Sharon Villasenor (husband David), brother Steven Horn, children Mike Horn (wife Sally), Heidi Glass (husband John), Derek Gunter, Lance Gunter (wife Kim) and seven grandchildren: Ryan Horn, Eryn Horn, Taylor Gunter, Samantha Gunter, Allison Brewer, Gavin Gunter and Austin Gunter. Jim was preceded in death by his parents Robert and Helen Horn and brother David Horn. Visitation to be held at Skillin-Carroll Mortuary, 600 Central Ave., Fillmore, CA on Wednesday, February 22 from 4:00 – 8:00pm. Graveside Service will be held at Bardsdale Cemetery, 1698 S. Sespe Street, Fillmore, CA on Thursday, February 23 at 11:00am.